With the help of his family, coaches and the care team at Maria Fareri Children’s Hospital, Armani Curet is healthy, happy and strong. From her first day of motherhood, Maria Negron of Sleepy Hollow learned to place her trust in Westchester Medical Center and Maria Fareri Children’s Hospital, members of the Westchester Medical Center Health Network (WMCHealth). Her twin sons, Xavier and Ziel Rodriguez, were born in 1998 at 31 weeks, weighing a total of five pounds between them. Negron, who has severe asthma, was intubated four times during her pregnancy to open her windpipe. Xavier and Ziel spent their first six weeks in the Regional Neonatal Intensive Care Unit (RNICU). After they went home, the Children’s Hospital continued to coordinate early intervention, including motor skills and speech therapy. “Social workers would evaluate my twins and make sure they had no delays,” Negron says. “Early invention helped them grow into thriving boys with bright futures.” Two years ago, Xavier and Ziel graduated from Sleepy Hollow High School. In 1999, Negron had another complicated pregnancy, with her son Joshua, or “JJ.” Her asthma flared again, and she felt pre-term contractions. After she delivered the umbilical cord before the baby – a dangerous condition called prolapse – she had an emergency C-section. Soon, she was holding a healthy baby boy. Negron watched JJ’s development closely, remembering the milestones set for the twins. “I realized he was not speaking or hearing my voice at age 4,” she says. The diagnosis was cholesteatoma, an abnormal skin growth that develops behind the eardrum and damages the surrounding bones. JJ had seven surgeries at Maria Fareri Children’s Hospital to remove the growth and repair his eardrum. “They completely restored his hearing and again provided early intervention,” Negron says. She recalls JJ’s innate sense of rhythm: “He was able to pick up an acoustic guitar and just play, amazing the doctors.” Having recently graduated from high school, JJ plans to enroll in a dental assistant program to work in pediatric dentistry. 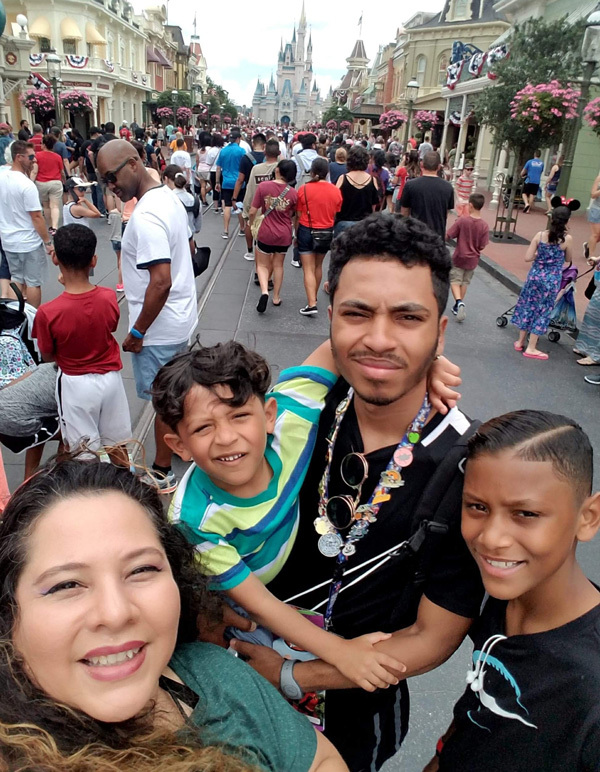 With the support of his stepdad, Jesse Pereda, his mom, Maria Negron, and siblings Armani quickly recovered. Two and a half years ago, Armani, who turns 13 in November, began complaining of severe headaches. His pediatrician told Negron that they were “probably migraines,” she recalls. He played baseball and football through the pain. “As he got older, the headaches became more intense,” she continues. “His teacher called me and said, ‘He kind of spaced out today.’” Negron’s pediatrician took a CT scan and called her to say, “‘Get to Maria Fareri Children’s Hospital right now. 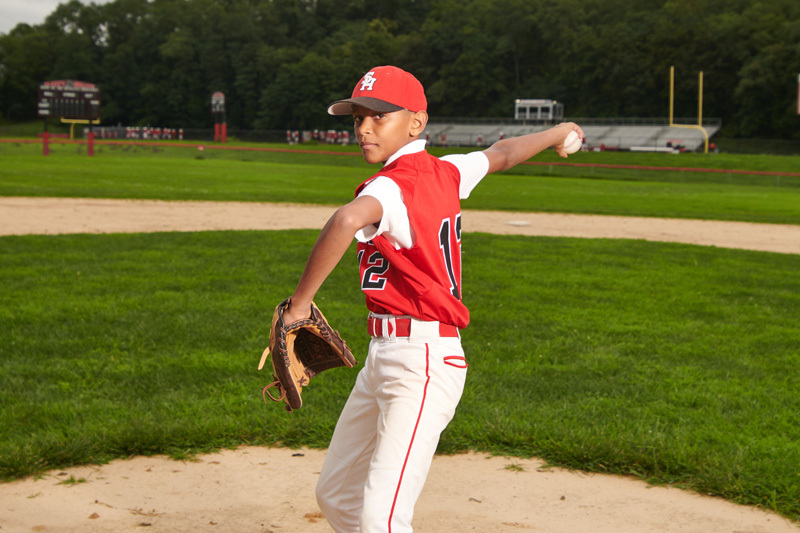 The doctors are waiting for you.’” Negron feared the worst: a tumor, perhaps terminal cancer. Mother and son raced to the hospital, where Armani had an MRI. “Within a half-hour, I had a group of doctors speaking to me, explaining they had found something that wasn’t a tumor, but something called an AVM,” she says. An arteriovenous malformation (AVM) is a tangle of abnormal blood vessels in the brain that can cause headaches, seizures and even intracranial bleeding. Blood surging directly into the veins destroys their delicate structure. “We needed to turn off the faucet, so to speak, by cutting off the arterial supply and removing the ‘heart’ of the AVM,” says Dr. Tobias. In April 2016, Armani underwent the lifesaving procedure. First, Dr. Tobias’ team performed a cerebral angiogram and used a glue-like material in a process called embolization. The glue was precisely placed to seal only the arteries feeding the AVM — not those feeding the rest of the brain, which could have caused a stroke. Armani (far right) with (from left) his aunt, Zinnia Pereda Santos, and brothers Max Mason and Joshua Rodriguez. Dr. Tobias removed the AVM, and confirmed its absence. With normal blood flow restored, Armani quickly recovered. She believes every aspect of the hospital accelerated his healing. In September, Armani served as one of three ambassadors at the hospital’s annual Go the Distance Walk and Family Fun Day to raise funds and awareness for the care provided to pediatric patients at Maria Fareri Children’s Hospital.